Should you be using a professional editor? What are the secrets or best practices to achieving balance between work and family life? A recent news article in Nature, “Workplace habits: Full-time is full enough,” quotes several scientists describing their strategies. For many scientists achieving work-life balance means getting as much work done as possible in 40 hours per week, and devoting the rest of the time to family and personal life. In the Nature article, I am quoted saying that I hire professional editors to help me work more efficiently in my position as a professor, textbook writer and editor. My comment inspired a post at the Dynamic Ecology blog, in which Meghan Duffy asks, “Have you ever used a professional editor for a proposal or manuscript?” In a follow-up article, I share my experiences in working with professional editors, and I summarize some key points here: Got a professional editor? I often hire professional editors on a freelance basis to help me write scientific papers, grant proposals, chapters of my conservation biology textbooks, professional correspondence, popular articles, press releases, and oral presentations. Hiring an editor often makes the difference between meeting or missing deadlines, or handing in sloppy work or well-written papers. In my experience the best editors are advanced graduate students, post-docs, and early-career researchers working outside of tenure-track faculty positions. They are often excellent writers who want to make some extra money. The amount of time needed by an editor depends on the document length, how much work the document needs, and the editor’s speed. Most recently, a professional editor spent 10 hours helping me on a grant proposal, 2 hours on an editorial for Biological Conservation, and 4 hours on a research article. Working with editors can especially help scientists for whom writing is not a strength (including those for whom English is not their first language). I think that working with a professional scientific editor can help many people in improving the chances of a grant being funded or a paper being accepted for publication. Recently the National Science Foundation announced that the Division of Environmental Biology will no longer accept Doctoral Dissertation Improvement Grant (DDIG) proposals, citing “increasing workload” and “changes in priorities.” DDIGs are relatively small grants (up to $13,000 in direct costs when I applied in 2014) with outsized impacts on the graduate student community: just read through the swell of #DDIGstory tweets that followed NSF’s announcement. My dissertation research was shaped and improved by a DDIG. 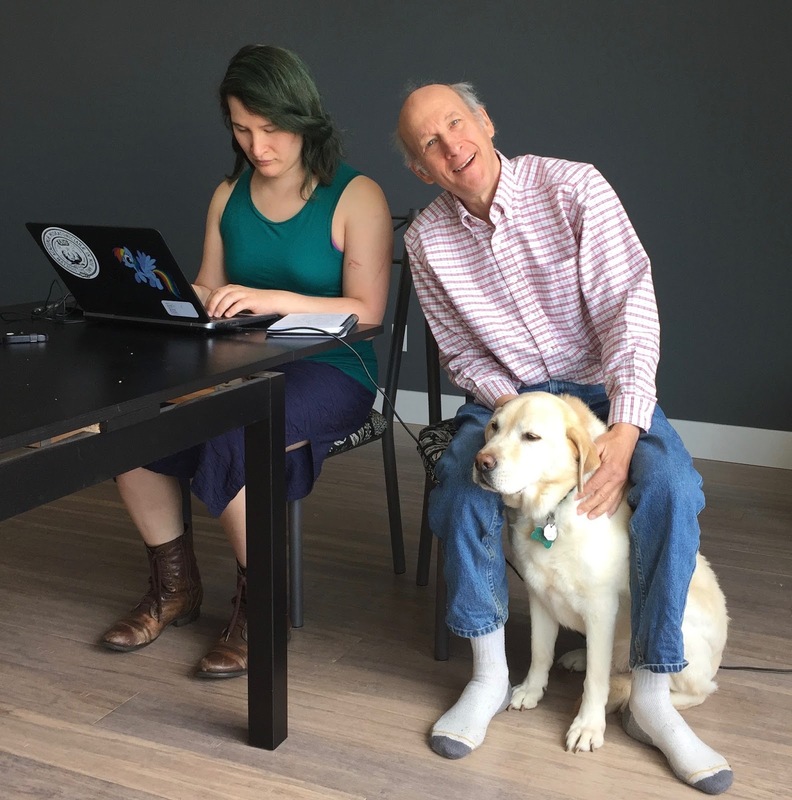 The process of writing a DDIG proposal — developing the story around my hypotheses and research methods, creating a budget, working with the Research and Outreach office at Boston University —was a transformative experience. Applying for a DDIG introduced me to the inner workings of NSF proposals, revealing the process of navigating overhead and fringe benefits and planning a multi-year project. Just submitting my DDIG application felt like a major accomplishment, on par with passing qualifying exams. When I celebrated that fall, I did not realize that another notable life milestone would intersect with my DDIG. My DDIG memories are intertwined with my experience as a new parent. At my March 2015 committee meeting I announced two items of good news: I’m pregnant and my DDIG is funded! 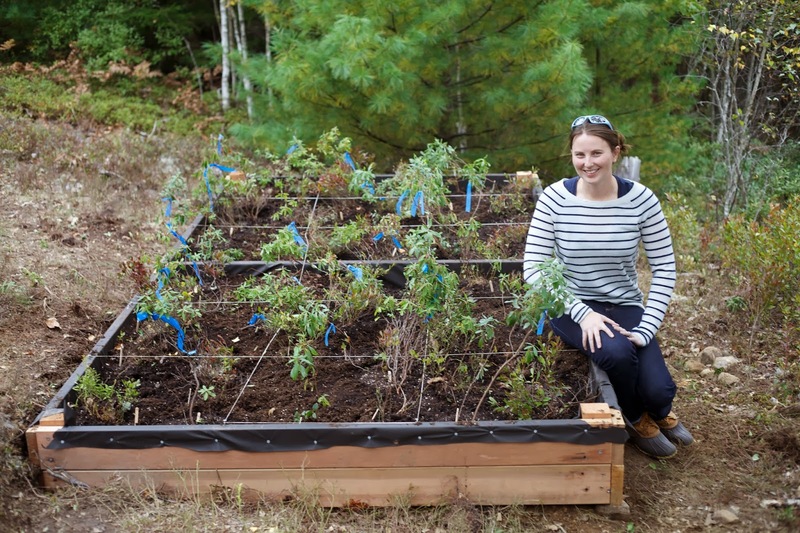 The DDIG provided my own source of support for two field seasons in Acadia National Park and allowed me to hire two wonderful undergraduate field assistants that April. Mentoring these students and teaching field methods was an invaluable experience, and though I was healthy and hiking all the way through the field season/second trimester, it was reassuring to know that my assistants were ready to pick up the slack if I needed a break. With DDIG funds, I traveled to the Ecological Society of America Annual Meeting that August to present a research talk. I was 34 weeks pregnant and my DDIG-supported conference-adjacent, air-conditioned hotel room was a perfect home base. The DDIG provided a kind of force field for me against the misogynist baggage that invariably strikes a pregnant grad student; it deflected questions about my commitment to a career in science or my ability to complete my dissertation. On a practical level, I had financial independence to do the fieldwork and present my research. But it was also a symbolic win, a sign that I was a serious scientist, regardless of the elastic waistband in my maternity field pants. Later, as I struggled through the haze of diapers, pediatrician appointments, sitz baths, and 3 am feedings, I could look forward to the second half of my DDIG fieldwork. The concrete plans built around my DDIG smoothed my transition from maternity leave: I returned to the field and accelerated through my last year of grad school. My DIGG is directly responsible for two chapters of my dissertation, two manuscripts currently ready for submission, and an unshakable confidence in my research and my ability to balance work and life, science and parenthood. I don’t think there is another fellowship or grant opportunity for ecology graduate students with the gravitas, the opportunity to engage in the full process of grant-writing, or the prestige of a DDIG. My career and my life would certainly not be the same without it. Eliminating this program is a serious error that the NSF should reconsider. Humans vs. Drones and Satellites! In an earlier post (April, 2016) we described comparing our on-the-ground observations of tree leaf-out times with data from LANDSAT satellites. Are data gathered by the two methods comparable, and can they be combined in climate change research? 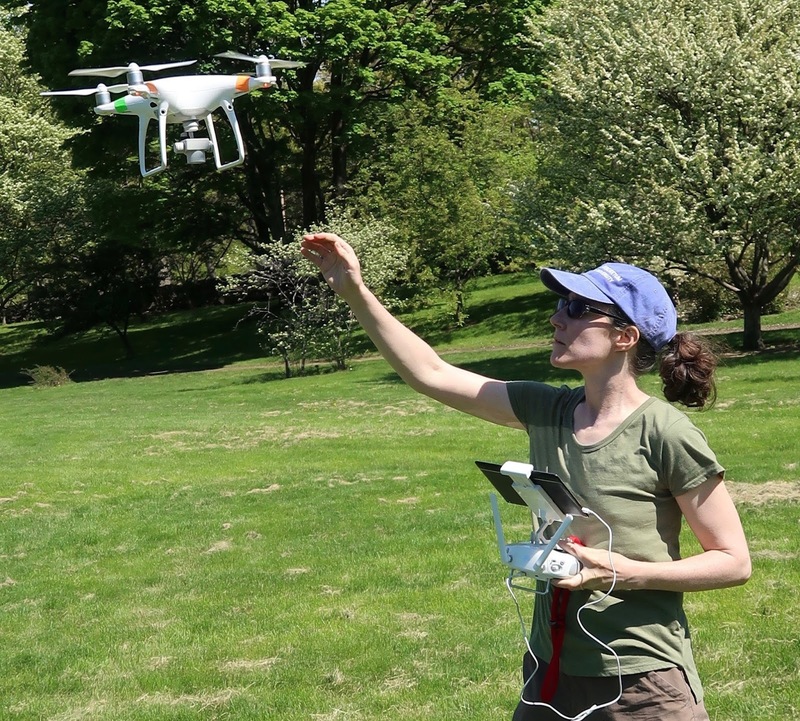 We are now collaborating with Margaret Kosmala and David Basler from Harvard who are using drones to monitor tree leaf-out times at the Arnold Arboretum. Will drones flying a few hundred feet high provide similar dates of leaf-out to an observer on the ground and satellites in the sky? We will soon find out! Science journalist Meera Subramanian recently wrote abut this project for Undark magazine.